According to Albert Einstein's general theory of relativity, gravity is no longer a force that acts on massive bodies, as viewed by Isaac Newton's universal gravitation. 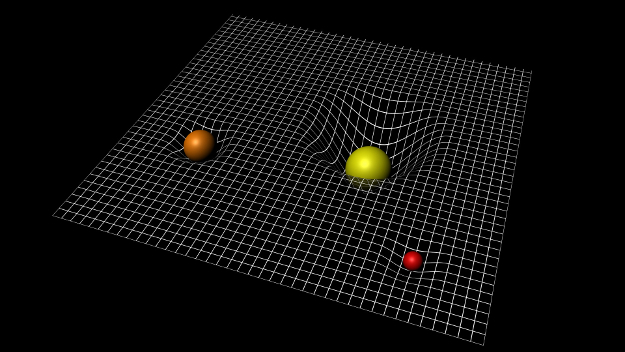 Instead, general relativity links gravity to the geometry of spacetime itself, and particularly to its curvature. To account for gravity in relativity, the structure of this four-dimensional spacetime must be extended beyond the rules of classical geometry, where parallel lines never meet and the sum of a triangle’s angles is 180°. In general relativity, spacetime is not 'flat' but is curved by the presence of massive bodies.